11 Top RPG Android Games That will Keep you Hooked! An RPG is a game where the players assume the role of the characters in a fictional setting. These games have maximum loyal followers as compared to any other game type as they have come a long way since their modest beginnings. Switching over from as the most popular game genre on your desktops, to your consoles, now they are well settled in your pocket devices. These games are the first types to become a huge success on Android devices besides offering a wide collection of titles to choose from. RPGs are undoubtedly the best video games as in these game types, the player starts as the character and further moves the character in different ways depending on how the game is to be played. They let the players to live out fancy epics, take them into future or tell character-driven intimate stories People can spend hours and hours playing storylines, crafting characters and having a good time. So, for all those who want to get into these Role Playing games on your pocket devices, Google Play has a variety of titles to choose from. Starting from school days classics to modern day action packed RPGs, here we have tried to compile a list of best RPG games for Android devices. However, while some of these are paid, others are available for free. The paid ones are truly worth the price. Another good android RPG is “choice of Robots” which is a very old, theme-based game. The game is completely based on content, without any visuals or sound effects and allows you to live the life of a scientist who creates robots of artificial intelligence. The player uses its imagination to create a robot, select its gender, and hence take decisions that will have an impact on the movement of the game. Either he can create a gentle robot that will be for the people or can create the heartless machine that can instigate robot uprising and destroy humanity. Thus the game allows the player to have a full control over the storyline, over the robot’s feeling and decisions and can even get it married off if required. You can download Choice of Robots from here. Another sequence of titles that dominated the decade of 90’s and 2000’s is the Dragon Quest. 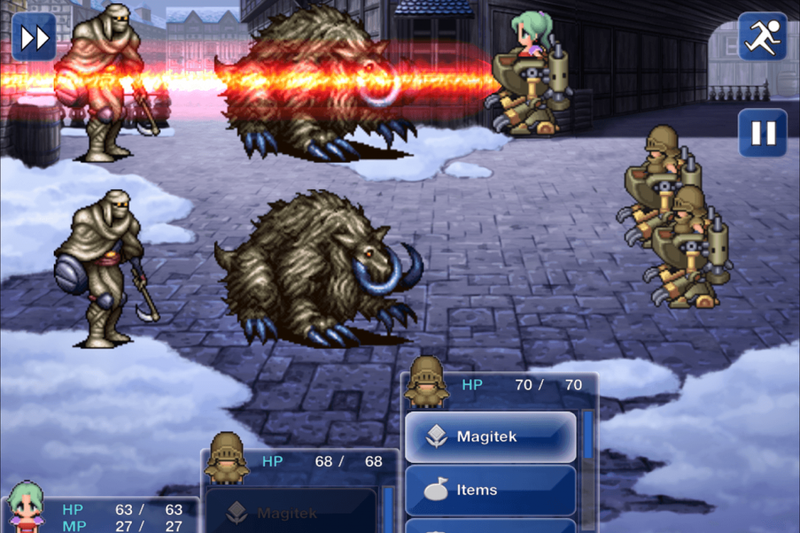 These series have been successfully brought to the android devices and can be played a little differently from other RPGs in a portrait mode with matching color scheme. The game highlights intense storyline, turn-based action and text menus lasting for a longer duration. From amongst the entire legendary series, its eighth part accounts for a top notch RPG launched till date on android. A classic JRPG featuring 3D graphics, it allows you to explore a fabulously made 3D environment full of secrets, side quests and towns. In case the player explores the world during daytime, he comes across enemies with normal attack and protects himself but whereas during night time, he encounters different and stronger enemies. At an instance in the game, the player gets a magical pot in which he can mix various things and create new items like arms and other kinds of healing items and can also make expensive powerful armaments which can be sold at high rates at weapon shops. Also included in the game is a casino containing various mini games so that the player can take part and win unique and powerful weapons as prizes. You can download Dragon Quest from here. Reaper is well worth a game irrespective of the game device as it takes you to the magical world for a fascinating journey. It involves both anxious game play mechanics as well as side scrolling combat. The story involves striking all the enemies with a sword, passing off a set of quests, sending the hero from one battle zone to another and letting him take tough decisions that will affect the development of the game. Having a basic and predictable staring, the game quickly moves into earnestly difficult sessions that require focus and accuracy. Playing this game on the smartphone or tablet can be lots of fun because of the handset’s swiping workings as it’s violently fast-paced at times. You can download Reaper from the Google Play Store. Another top android RPG is Shadowrun: Dragonfall which is an unorthodox strategical RPG of classical type. It is a typical mix of fantasy and cyberpunk as the High tech meets high fantasy and the player acts a character greedy for money. The player needs to earn money from kidnappings, thefts, searching for people, and crippling them. It is a cyberpunk RPG full of with robotic characters and the action happens in Berlin with high-rise buildings of huge corporations, world's many mega-corps, governments on the horizon. Players act as shadow runners: proficient freelance operatives specializing in black magic. The game play involves completing the objectives and getting closer to the money along with finding the answers to the questions. The game is an improvement of the original and fixes the save-game system, besides maintain the remarkable fantasy cyberpunk ambience. Here's the link to download Shadowrun: Dragonfall. While the gaming gizmos can debate for hours regarding which part of the entire series is the best, only one game can hold this title. If your weekend allows you to play just game in the series then, this would be your right choice. Final Fantasy VI, the sixth episode of the legendary game is regarded as the best RPG for android in the entire series of Final Fantasy franchise. It does a great job in refining out the funny experiences from the previous episodes and creates its own unique and enjoyable world to travel and adventure in. The game features 14 playable characters, the largest cast of any game of this series and revolves around the plot where the mankind loses its magic abilities and masters the new hi tech world. Each character has its own special abilities and can use special relic items. The robust magic-system and the turn-based Active Time Battle system clearly defines job for each individual. Carefully done graphics using the power of latest hardware without losing on the classic style, and the adjusted blend and controls make it convenient to play the game on a touch screen. The game features a rich and engrossing storyline with 80+hours of game play, turn-based action along with superb music. Final Fantasy VI is one of the best and most iconic classic harbored in your mobile. Download Final Fantasy VI from here. It is a card role-playing game with a game play element as the player collects an army to fight a battle with the opposition in order to grab the vault treasures. It involves collecting the cards, evolving them and building a card deck. The game was recently amended with a new collection of cards, stories and artifacts. 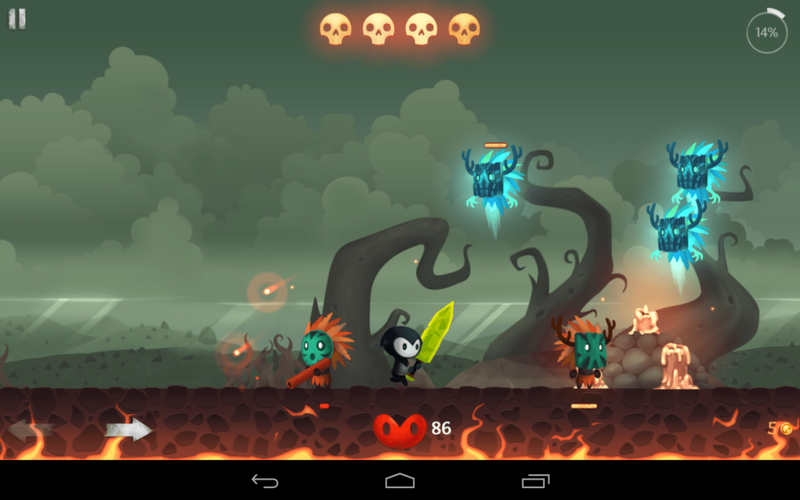 While the graphics of the game are pretty attractive it is considered to be a good android RPG as the fans at times want something casual and easy to play. The collectible aspect of this RPG adds to the replay value. An internet connection is required to play this game. You can download Dungeons of Evilibrium from the Google Play Store. 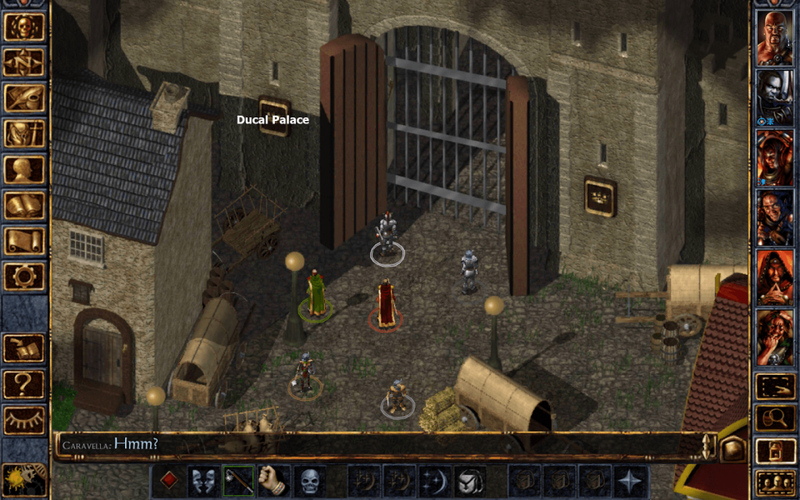 One of the classic RPGs of the old school days is the Baldur’s Gate that has been harbored from their original PC’s variants into the today’s android devices. It is considered to be one of the best RPG ever made and can be used as a standard for measuring the quality of many other role playing games. Having an impressive storyline, both the versions 1 and 2 are quite lengthy and provide the players with an awesome RPG experience on their hand held devices. With their complex story and mechanics, these are definitely not the option for a casual gamer who would want to put it down after playing a short while. Both the versions provide in-app purchases. Playing the on larger screens would be very appreciable. In the Enhanced Edition the player is required to help the protagonist by leading him through many deadly adventures, complete various tasks besides fighting with the monsters. Though the dark Gods are no more but their heirs are roaming here and there in the world. He needs to get his battalion of people with different abilities, open new skills, get types of equipment and explore the world. The Legend of Roland is a good android RPG in the action category and is designed in such a way that it makes perfect for mobiles or tablets and becomes a must-have game for android tabs. The game revolves around the young knight Roland, and his trustworthy companion, Charlotte who must use the elemental powers to turn down an evil monster. The world is on the edge of destruction and only brave Roland can help it, so the two wise men went mad trying to stop the mutant. This free RPG has a good story as many characters can be added to the team to learn powerful skills. The Bard’s Tale is another good android RPG which is famous for its excellent story, presentation, has action, besides offering numerous hours of humor, fun and amusement delivering role play elements in the purest form. Initially announced in 2004 as a PC variant, the game supports original android HID and is considered to a be top-notch role playing game for those who enjoy being bad. It gives you 20+ hours of exciting game play, enjoyment and funny dialogues. In the game, the players are required to control the selfish crook Bard who shirks all the responsibilities of a classic hero for the enjoyments of women and brews. Somehow, he gets connected for saving the world, and further gets others also to join the struggle by singing magical songs, takes damage on his behalf, heals the party and lets others also help him through the same. The game explores the vast world of over 50 varieties of enemies, discovers magical characters, discover unique items of tokens, armor and artifacts, rivers, mountains, forests, cities, dungeons, castles, etc. meeting a number of strange people and monsters. The game is a refined harbor for an action RPG and has a full accompaniment of Bluetooth controller. You can download the Bard's Tale- Experia Edn from here. Role playing element in the true sense. A not so common, wacky and wondrous little game is Evoland, which borrows from many other games in different ways to make it unique in its own way. The game begins from a yesteryear’s 2D action and unfolds into an amazing 3D game thus allowing you to go through both the action-adventure, 2D and 3D settings. Progressing smoothly from an action game to turn based game play it will make you learn different types of warfare while taking you through the history of gaming with so many things and deeds to collect. The beginning of the game is that the player has a team of heroes who fight battles with evil monsters, and can do various other interesting tasks like improving on the characters also. All this is happening in a dated pixel graphics but as the game progresses with the competition of tasks and development of characters, one ends up learning new technologies and new game mechanics. In other words, we can say that the starting of the game is very similar to classic games with many famous franchises of those times but as it advances the graphics change into those matching the last few years bringing back fond gaming memories alive. Initially the movement is restricted to side scrolling but after completion of a level it becomes free and keeps developing further the longer one plays. And the end sees unlocking of an amazing 3D world which gives the feeling of a console game packed in your mobile or tab. The main point around which this game revolves is to understand the evolution of gaming as the concept of the game is based on the classics and it has come to be fabulously well with an irresistible story and funny characters. 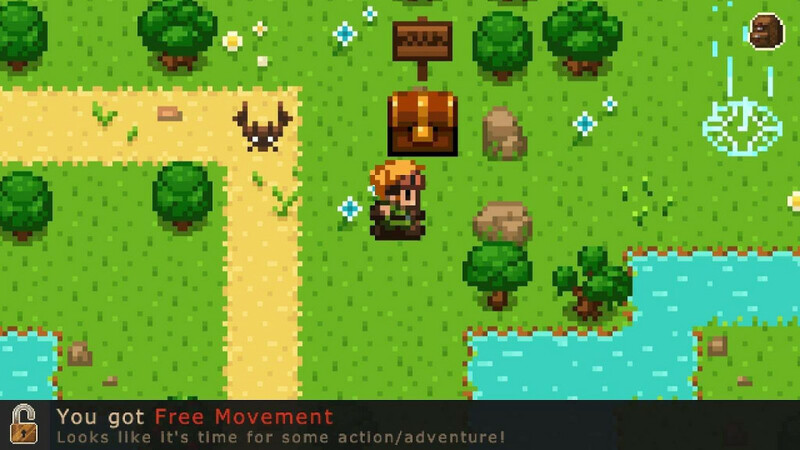 It allows the players to relive the old days of classic RPG types. This makes it exciting to open different types of gaming modes to play through. At this price point it is surely an entry game to be put in your android devices. For unlimited fun download the game from here. A legendary tale of Scandinavian mythology is the Banner Saga which promises awesome art, ferocious battles and a passionate, tactical role playing story which smoothly makes its way to the android devices. The game has turn based tactical elements happening in an imaginative country of North Europe. Acting as captain of Scandinavian troops the players go for an expedition on the night of the doomsday leading a group of farmers, fighters, and town people and with the journey taking place through snowy surroundings with partners against unusual threats. Exploring a world of hills, ancient mountains and spoiled battlefields. The choices of the players decide the movement of the game and can also change the destiny of the journey. The game has beautiful and cool looking visuals that stand out in true sense. Download The Banner Saga from here. So, these funny, fantastic and super cool android RPGs let you explore the world of magic and fantasy besides being light on the pocket. Such immersive and best looking games are a good break from the stressful and busy schedules of the real world and become a must-have on your android devices. Though are list contains only a small fraction of the exhaustive collection but these are awesome for those who truly enjoy gaming. Check them out and lets us know if we have missed out on any of your favorite games! Top 10 Android Racing Games in 2017 - The Hottest Games on the Block! Top 10 Android Fighting Games (2017) to should Play! Top 24 Android Multiplayer Games of 2017 You should Play Once!